“We are just sails in the wind,” said the legendary Eddy Merckx about cycling in Belgium and with good reason: the generally flat topography means winds sweep over this tiny northern European country with the voluminous capacity of Merck’s horse-like lungs. Take the one-day classic Gent-Wevelgem. Back in 2015, the cold winds off the North Sea reached speeds up to 50mph that ripped the peloton to pieces. Unbelievably, of the 160 starters, just 39 finished, including the powerful Sep Vanmarcke, who finished a fine fifth for Lotto-Jumbo. 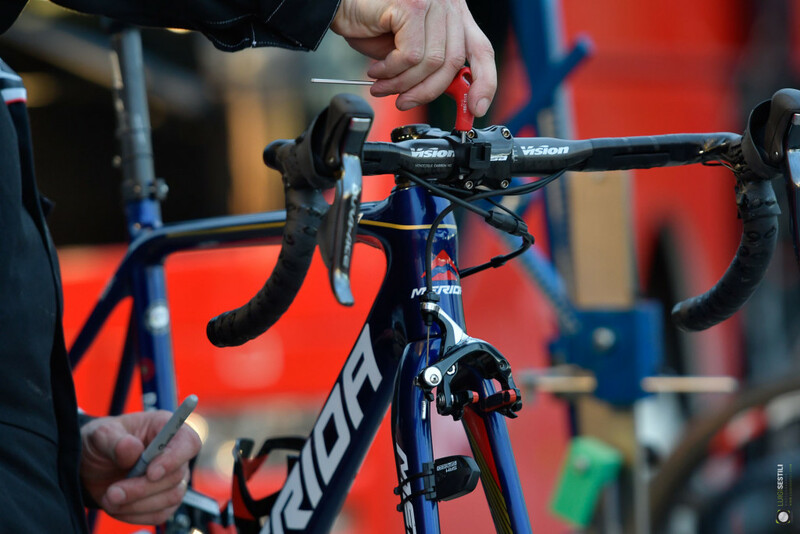 The Belgian team currently use Vision handlebars and aerobars, as do Vanmarcke’s current team Cannondale-Drapac. 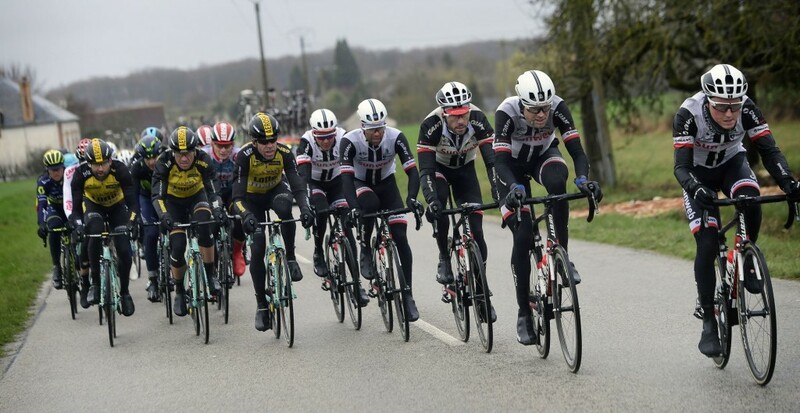 All the pro peloton’s Vision-equipped riders face tough weather including wind, especially – but not exclusively – in the Spring Classics. Studies have shown that riding in a group and sitting on the wheel of the man or woman in front of you can save around 20-30% energy compared to riding at the same speed when exposed to the wind. So when it’s that long Saturday morning ride with mates and the wind blows head on, try to stick around 20-30cm off their rear wheel. This takes practice and, understandably, you might be nervous to begin with. In this case you can ride behind and 20cm either side to avoid the potential of clipping wheels. 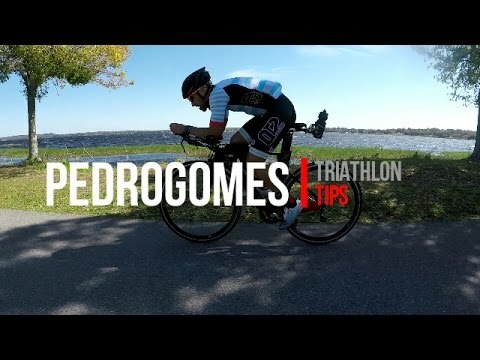 You should also shift down a gear or two to maintain a smooth, efficient pedal stroke. Yes, that’ll mean decreased speed but that’s fine. Measure your ride by effort rather than what km/hr you can hit. This is where a heart rate monitor or power meter comes in. When the headwind strikes, aim to remain at a pre-specified bpm or wattage and you’ll pace your ride far more effectively. Also spending more time than normal down on the drops will present a smaller frontal surface area to the wind, albeit this position must be sustainable. Often, of course, the wind cuts across you rather than totally against. As Gent-Wevelgem 2015 showed, these crosswinds present myriad problems of their own, beginning with wheel choice. Now, deep-rim carbon wheels like Vision’s Metron 55 and Metron 81SLs, with 55mm- and 81mm-deep rims, respectively, really come into their own when conditions are settled. That’s because they smooth out airflow around a historically very choppy area, resulting in improved aerodynamics that sends you scything through the air faster than ever before. However, those same rims can act as a sail when the winds gust from left to right or vice versa, meaning they’re harder to handle. That’s why a shallower rim, like Vision’s TriMax Carbon 35s, are the wise choice when strong crosswinds are forecast. When riding in a group, you can also do as the professionals do and form an echelon. Granted, this takes some practice and might not always be feasible on roads that are also open to automobiles. An echelon is where riders stagger themselves in a fan formation across the wind to counter the effects of the wind. So if the wind is coming off the north-west, riders will fan themselves in a south-east formation. In essence, it’s the same idea as fending off a headwind but at an angle. Just give the rider in front a break by letting them pull off to retreat to the back of the echelon to enjoy their momentary conservation of energy. Finally, don’t forget your apparel. Loose-fitting clothing flaps around in the wind, increasing drag and lowering your speed. So more form-fitting but still comfortable clothing choices are the way ahead when it comes to beating the wind.